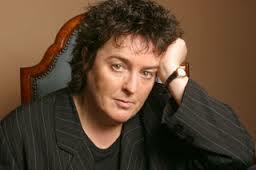 Carol Ann Duffy is just such a badass in my opinion. She is the first woman, the first Scot, and the first openly LGBT person to hold the position of Britain’s poet laureate, appointed to her in May 2009. Her collection of poems in Feminine Gospels are, unsurprisingly, all about the experiences of women- ranging from the historical to the imagined. This entire book of poetry is inspiring and beautiful. The poem that intrigued me most was the one entitled “The Map-Woman” because it drew upon the skin of a woman being the map of her town. And what attracted me most about this, besides the amazing imagery, your past is always a part of you. What is interesting in this case is that the fact that a person always carries their past with them is both good and bad. I loved the positive idea that your past and hometown is always with you wherever you go and so I was conflicted because I also enjoyed the haunting imagery that you can never fully escape the places you leave. the soldier boys, the Mayors and Councillors. I, personally, love the idea of being rooted and attached to where you’re from, but in this poem, it sounds more like a burden than a benefit. This woman can’t erase her past and, specifically, can’t erase the map lines of the place she’s from. This relates to our overall theme of Englishness in connection with the poem “The Soldier” by Rupert Brooke in his lines: If I should die, think only this of me:/ That there’s some corner of a foreign field/ That is for ever England… With these two poems in mind, this idea of Englishness and your nation being a part of your identity is clearly defined. But this poem is about more than feeling a sense of national identity in your skin, it’s about finding your own skin that you’re comfortable with. old streets tunnelled and burrowed, hunting for home. So while she has shed her old skin and is moving forward in her life, her past will continue to be a part of by burrowing deep in her bones. But she can search for her own home and a new skin. It’s a poem full of beautiful imagery and powerful words. It’s a poem about the importance of keeping your roots and yet expanding into something more individualized. Take a moment to think about water. It is an essential element of life and no one can live without it. Water can serve as a way to escape or discover new lands and, most often, it is a source from which civilizations are build. Carol Ann Duffy’s poems in the Feminine Gospels are all tales of women surviving, living, struggling, protesting, overcoming, and sometimes succumbing to society and nature. In The Long Queen, “She sent her explorers away / in their creaking ships and was queen of more, of all the dead / when they lived if they did so female. All hail to the Queen.” The power of a woman is exude throughout these poems. Queen Elizabeth has the power and strength to send massive fleets of ships across oceans to conquer land in her name! But, even a queen, in all her glory, has to be a conquerer from the confines of her room. 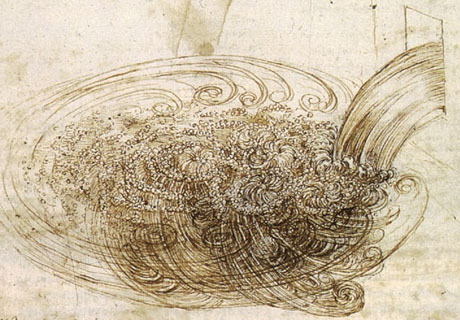 For the Queen, water was both a boundary and a possibility. Water made it possible for her subjects to travel and bring back treasures but even a woman in rule had no power to step beyond her door. In the poem, Beautiful, Duffy writes, “A thousand ships – on every on a thousand men, each heaving at an oar, each with her face before his stinging eyes, her name tattooed upon the muscle of his arm…” This paints a whole new picture of women and water. Men, thousands of men, bring there women in their minds, on there arms, in their hearts, across the sea. But where are the women really? Far from the sea, at home, safe. Duffy gives us something to think about here, why are women so prevalent in mens thoughts and yet thought of as inferior? Now, how do women themselves, use water to escape? Duffy writes a very interesting poem in the final pages of her collection; The Laughter of Stafford Girls’ High, gives us insight into how women escape and what that means for their livelihoods. Mrs. Mackay is a head teacher at an all girls school. This school is meant to educate proper young ladies and teach them etiquette for their futures. The girls are fed up with the way that society confines them so they laugh! They laugh and just keep laughing. This, as you can imagine, disrupts everything within the school. The teachers can’t teach and thus their meaning and purpose in life is put into question. Mrs. Mackay has taught at Stafford for years, she is a wife who gets no satisfaction from her marriage and the only thing she has control over is her teaching. When this is taken from her in the form of laughter she is forced to come up with a solution to her life crisis. How does she find meaning in life? How does she find her purpose or a passion for living? Mrs. Mackay finds walking to be her pleasure. She might be walking to find something, a destination, a purpose. Or, she may be walking to get away. To get away from a life that doesn’t provide her with anything worth hanging onto. In the end, she just keeps walking into the sea. Picture walking into the sea, not swimming, but letting your legs wade in till you can’t touch the bottom. Letting yourself be pulled in and taken away to a new world, a new start, a new existence. Mrs. Mackay uses water as her gateway into the unknown. But, maybe the unknown is more exciting than what she has known. 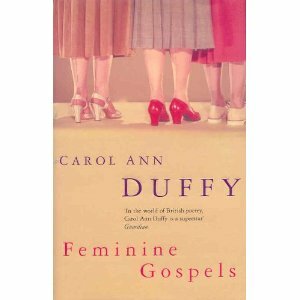 Feminine Gospels by Carol Ann Duffy is a collection of poems that range in tone about the female experience. Her poem “The Map Women” projects these ideas into the surreal, by telling the story of a women who has the map of her home all over her body. This poem looks into place as well as feminine nature. Where ever the women goes and does this map remains on her body, as a constant reminder of her hometown. The women is only able to remove the map over her body, once she goes back to her hometown and then she realizes that she does not recognize anything anymore. Only then is she able to shed her skin, and have the map removed from her body. The last stanza states, “She woke and spread out the map on the floor./ What was she looking for?/ Her skin was her own small ghost,/ a shroud to be dead in, a newspaper for old news/ to be read in, gift wrapping, litter, a suicide letter./ she left it there, dressed, checked out got in the car./ As she drove, the town in the morning sun glittered/ behind her. She ate up the miles. Her skin itched,/ like a rash, like a slow burn, felt stretched, as though/ it belonged to someone else. Deep in the bone/ old streets tunneled and burrowed, hunting for home.” To me this is a poem that I can relate to. Even though I do not have a map of Brockport over my body, I do understand moving away only to come back and realize that many of the things that had been familiar to you when you lived there have changed. This process of returning to a place that had once been familiar that now seems foreign is extremely disorienting, and sometimes leave you feeling lost. The women in this poem returns to her hometown after being away, and leave feeling as though she still has to go searching for a home. Now that I have been in London and have experienced the space some of the ideas of Carol Ann Duffy have become more prominent in my mind. I feel as though experiencing the outside world away from your home town makes considerable changes to a person. All the places that you experience are important to you, and make up who you are as a person. The next step after leaving your home town and then coming back would be to then see how your world view has been affected. According to the poem, sometimes it is better shed your skin and move on to hunt for a new place to call home. The experience of travel changes you and you cannot go back to your old way of thinking. We’ve heard it said by Robert Burden in his essay “Englishness and Spatial Practices” that in considering the criteria for determining Englishness, one cannot exclude England’s history. The same can be said for the method of determining Feminine Englishness, one cannot exclude the history of women in English society. Furthermore, Englishness is defined as “idiosyncratic cultural norms of England and the English people” so Feminine Englishness differs simply by singularly assessing the norms of English women. 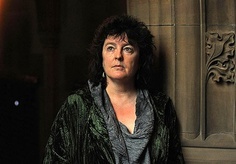 Feminine Gospels, by Carol Ann Duffy, provides a spectrum of traditional roles women played through her poetry as well as poems that show the breaking of tradition and social constraints. The Long Queen, the very first poem in Duffy’s collection, is written in such a way that made me feel like the subject matter was far from contemporary, but from perhaps medieval times. Thus, Duffy’s collection starts with some history. This poem seems to comes from the perspective of the queen herself, who is reflecting on and questioning the power of her title. “What was she queen of? Women, girls, / spinsters and hags, matrons, wet-nurses / witches, widows, wives, mothers of all these”. The queen sees herself as having power only over other women. The next question, to which there are four answers, is: “What are her laws?” The first law is Childhood, the second is Blood (menstruation), Tears, and finally Childbirth. She is not describing in each case laws that she has created, but laws that she must abide under, as must the women and girls she has power over. In regards to this poem, it seems to me as though Duffy has set up a framework that states the basic facts of life for women. The subsequent poems either elaborate on these facts, or begin the process of dismantling the framework. The next few poems (Beautiful/The Diet/The Woman Who Shopped) elaborate on the societal constraints and culture norms that women are both subjected to and subject themselves to. Soon though, after Duffy goes into detail about the superficial aspects of women’s culture, she writes a poem called ‘Work’ that illustrates the immense importance of women to the survival and progress of society. “For a thousand more, she built streets, / for double that, high-rise flats. Cities grew, / her brood doubled, peopled skyscrapers, trebled… Mother to millions now. / she flogged TVs, / designed PCs, ripped CDs, burned DVDs… She fed / the world”. This poem suggests that even just considering a woman’s most basic defining function, childbirth and mothering, by extension makes her also a mother of invention, creation, and progress. The poem ‘Loud’ shows us a woman who has discovered she can talk, she can shout and contradict, she can even be heard. “Before, she’d been easily led, / one of the crowd… Not any more. Now / she could roar.” This simply shows progress that heightens the role of women. In the poem ‘The Laughter of Stafford Girls High’ we are shown an extensive cast of female characters that struggle with the roles they are expected to play in society. Most of these women and girls end up breaking free from the culture norms and creating new, often scandalous lifestyles. This poem includes several lesbians, a tomboy who wants to go on dangerous adventures rather than become a woman of high society, and a middle aged woman who is finished pretending she is happy with her restrictive marriage and simply walks away. Englishness is defined as “idiosyncratic cultural norms of England and the English people” so Feminine Englishness differs simply by singularly assessing the norms of English women. I think through this collection of poetry, considering structure and subject, we are given a very good idea of feminine history, which in turn translates into an understanding of the idea of Feminine Englishness. The poem “The Diet” by Carol Ann Duffy deals with women and body discipline, through the form of anorexia. Sandra Lee Bartky’s essay ” Foucault, Femininity, and the Modernization of Patriarchal Power” I read last semester in Dr. McVicker’s feminist theory class tied into some of the key points Duffy is making in the poem. Bartky writes about how the policing of women’s bodies and the space they occupy. Today, massiveness, power, or abundance in a woman’s body is met with distaste…Dieting disciplines the body’s hungers: appetite must be monitored by all times and governed by an iron will. Since the innocent need of the organism for food will not be denied, the body becomes one’s enemy…Anorexia nervosa, which has now assumed epidemic proportions, is…the crystallization in a pathological mode of a widespread cultural obsession. Our society is structured in a way that, as Foucault writes in his essay on docile bodies, we are told how our bodies should occupy the space around us. Bartky takes this further and argues that women’s bodies in relation to space are restricted and controlled even further. Women are expected to occupy as little space as possible, and this obsession becomes internalized in women. As a result of this, more women are becoming anorexic, as Bartky writes.The woman in Bartky’s poem is striving to meet the societal expectations written on her body, and we watch her as her eating disorder progresses. The first stanza of “The Diet” opens up with just that: the woman is dieting to the extreme, or as Bartky writes “disciplines the body’s hungers.” As the diet progresses, the woman begins to physically disappear. “By the end of the month, she was skin/ and bone,” yet “she starved on,” showing how a diet to presumably lose weight has grown into a disease. Duffy writes that “her skeleton preened under its tight flesh dress.” Her word choice here is vital to understanding the connection back to Duffy’s work. Preened means “devote effort to making oneself look attractive and then admire one’s appearance.” The woman in the poem has developed an obsession with meeting the unattainable standards society demands of a woman’s body, so much so that she has turned into a skeleton. There is no space left to lose, yet she persists and continues to lose weight. With no more weight to lose, the woman “started to grow smaller” and eventually ends up becoming “seed small.” Carol Ann Duffy is taking Bartky’s observation about how massiveness and excessive size of a woman’s body is not allowed and the repercussions of this and exaggerating it. Not only does this unhealthy expectation of woman manifest in eating disorders, but Duffy writes that it goes further and has women striving to become insignificant and nonexistent. 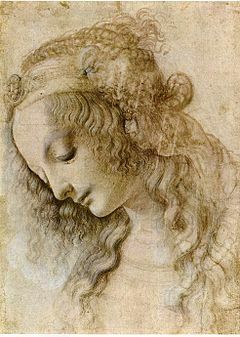 Once seed small, the woman in the poem is unseen by humanity. She exists only in “an empty beer bottle rolled/in the gutter,” “the barman’s eye” or “she lived in a tear.” Not only is she no longer a part of society, but she engages in reckless behavior and parties all night. Her existence is irrelevant to anyone else, just like society wants it to. The last two stanzas of the poem are incredibly powerful; the seed sized woman lands on the wrong tongue. “She knew where she was all right…inside the Fat Woman now, / trying to get out.” Despite all of her hard work, the woman is right back where she started, trapped inside the Fat Woman she tried to escape. The capitalization that Duffy uses here assumes that it’s not just any fat woman the main character is trapped inside, but the Fat Woman. 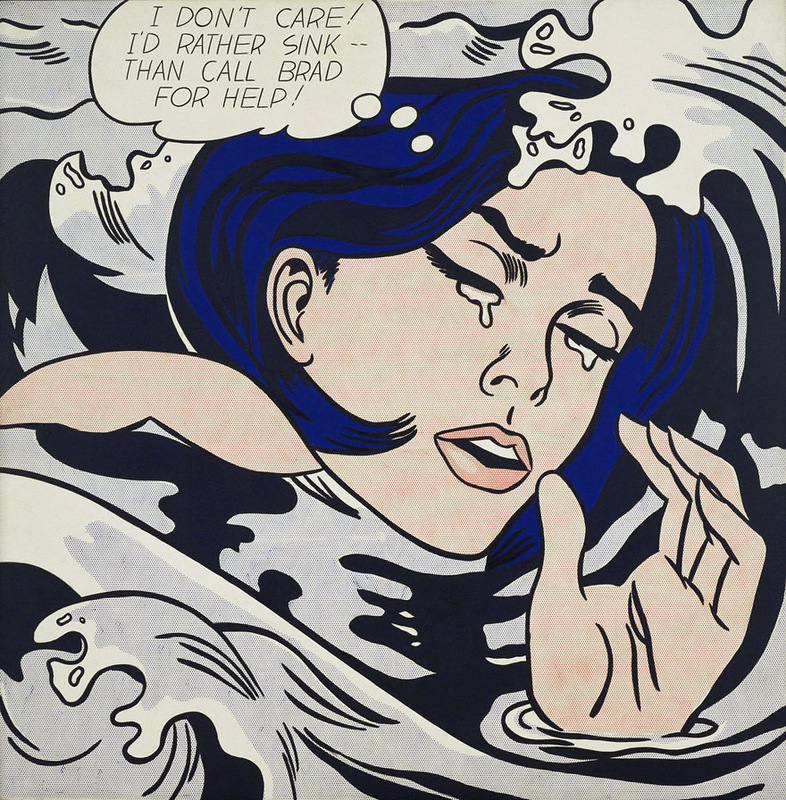 “The Fat Woman” symbolizes everything that women in society are taught to stay away from, taught to despise, taught to fight; Duffy’s poem shows that no matter how hard the main character tried, she ended up right back where she started. Because, just like Bartky says in her essay, women are taught to hate their bodies, no matter what. Thinness and the physical expectations of women in today’s society are impossible to achieve. Everyone that attempts to be perfect by society’s standards will fail. Duffy’s poem voices crucial concerns about the current structure of our society.